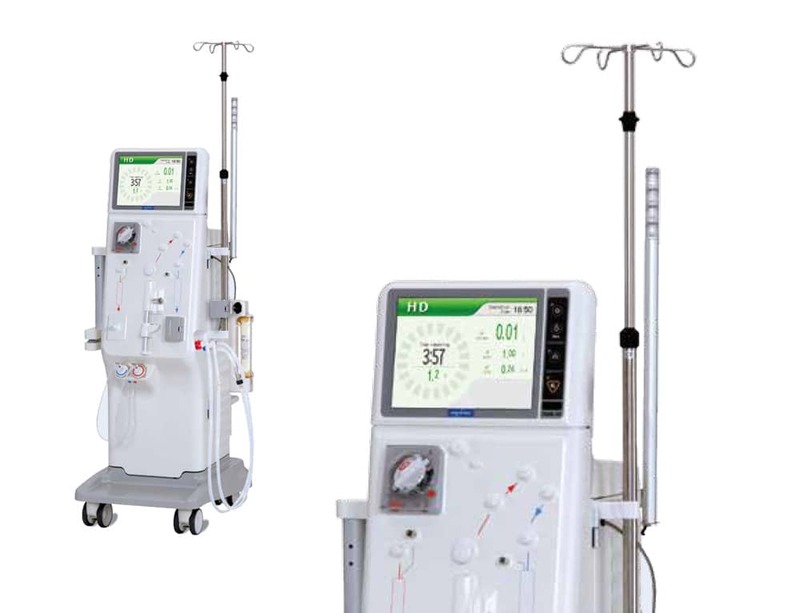 SAN DIEGO–(BUSINESS WIRE)–Nikkiso America, a division of Nikkiso Co. LTD. (TOKYO: 6376JP), has supported Atlantic Dialysis Management Services (ADMS) with the first patient treatments using the DBB-06 Dialysis System in the U.S., at Atlantic’s Central Park Dialysis Clinic in New York. ADMS is the seventh largest provider of hemodialysis in the U.S. and owns and operates 13 clinics for over 2,400 patients in the New York City area. The DBB-06 System also incorporates the use of Haemo-Master®, a Blood Volume Monitoring (BVM) technology, which may lead to improved hemodynamic stability in some patients. J. Ganesh Bhat M.D., medical director of ADMS. Nikkiso is a pioneer in blood purification products. For more than half a century, Nikkiso has addressed the needs of caregivers while focusing on improving treatment outcomes for the patients who use these therapies. Thomas D. Kelly, CEO for Nikkiso’s Medical business in the EMEA, North and South America, Australia and New Zealand markets. Nicholas Staub, director of sales for Nikkiso America. Nikkiso Medical is one of the world’s leading manufacturers of products for both acute and chronic blood purification therapies. In 1967, Nikkiso developed Japan’s first dialysis machine. Today, based on this time-proven technology, Nikkiso is the world’s second largest manufacturer of dialysis machines and disposables and a market leader in Europe and Asia. Trusted for superior quality and reliability, over 100,000 Nikkiso devices for blood purification therapies worldwide are currently used by customers around the world. To learn more, visit www.nikkisoamerica.com/medical/. Based in Tokyo, Japan, Nikkiso Co., LTD., is recognized around the world for it 60-year history developing original technologies that span many fields. The company manufacturers exquisitely engineered products from Nikkiso’s Medical, Aerospace, Industrial, and Precision Equipment Divisions. The Divisions specialize in acute blood purification products, chronic dialysis systems, carbon fiber products for aerospace applications, pump products and fluid technologies, water conditioning systems for thermal and nuclear power plants, and particle size characterization. To learn more, visit www.nikkiso.com. Nikkiso America is headquartered in San Diego, Calif., and has offices and divisions based around the U.S., operating Nikkiso Co., LTD.’s U.S.-based Aerospace, Industrial, Medical and Precision Equipment Divisions. To learn more, visit www.nikkisoamerica.com.